This incredible FULLCOLOUR book will help you complete guide for using Creative Attacking Play against teams that defend within the middle or defensive third. 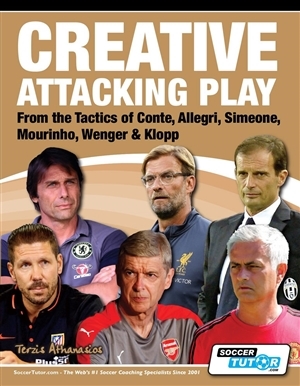 Learn to Coach "Creative Attacking Play" with Sessions From the Tactics of Conte, Allegri, Simeone, Mourinho, Wenger & Klopp"
The Diego Simeone chapter in this book is 'Receiving in Behind on the Blind Side of Defenders'. There is a full analysis of how Atlético skip a phase using direct play - we show how it is possible to use medium range passing to break through the defensive organisation of the opposition. The focus is on directing and receiving the ball in the available space on the blind side of centre backs and in behind the defensive line. 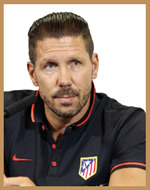 This book includes Simeone's Tactics with Sessions on how to practice them. The Antonio Conte chapter in this book is 'Creating an Overload with a Forward Shifting Across'. There is a full analysis of how to create an overload between the opposition's midfield and defensive lines using the 3-5-2 formation - we also provide variations for the 4-4-2 formation. One forward will shift across to the other side to create a numerical advantage (2 v 1) in one of the opposing centre back's zone of responsibility. This is so one of the forwards could receive in this space unmarked, facing the opposition's goal. The final step was to play a final pass to the forward moving players in behind the defensive line. 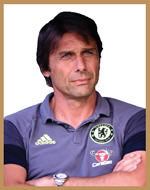 This book includes Conte's Tactics with Sessions on how to practice them. The Jürgen Klopp chapter in this book is 'Exploiting 3 v 2 in Midfield to Receive Between the Lines'. There is a full analysis of how creating a 3 v 2 numerical advantage in central midfield can be exploited in order to move the ball to a player in an advanced position between the lines, and then make the final pass. The training session shows how you can use these tactics for both the 4-2-3-1 and 4-3-3 formations. 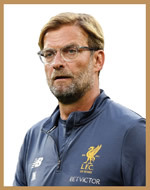 This book includes Klopp's Tactics with Sessions on how to practice them. The Jose Mourinho chapter in this book is 'Creating an Overload with a Winger Shifting Across'. 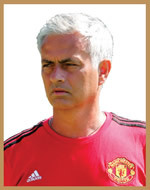 There is a full analysis of how Mourinho uses the converging movements of wingers towards the inside within the zone of responsibility of the opposing centre back, while at the same time pushing the full back forward on the flank. If the forward was also positioned within this zone, an overload took place and the winger could receive unmarked, either directly or after a lay-off pass by the forward. The next step was the final pass or shot at goal (if the man in possession was within shooting distance). This book includes Mourinho's Tactics with Sessions on how to practice them. The Massimiliano Allegri chapter in this book is 'Creating and Exploiting Space in the Final Third'. 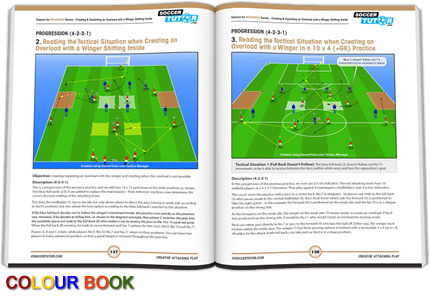 There is a full analysis of how to create and exploit space in the final third using the 4-2-3-1 and 4-4-2 formations. This includes synchronised movements of the attacking players, in combination with a medium range pass or quick combination play with shorter passes. 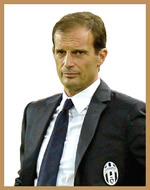 This book includes Allegri's Tactics with Sessions on how to practice them. 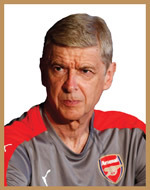 The Arsène Wenger chapter in this book is 'Intelligent Positioning to Receive Between the Lines' and the tactics are all about finding or creating available space to receive between the lines by using intelligent positioning and quick combination play, with the 4-2-3-1 formation. The training session shows how you can adapt these tactics to both the 4-3-3 and 4-4-2. This book includes Wenger's Tactics with Sessions on how to practice them. The concepts and training sessions are very well illustrated and explained. I have put them to good use already with my U17 premier girls club team as we prepare for our Provincial Cup Championship.